Giacomo Girolamo Casanova was a gambler all his life, despite having numerous other careers including that of: a soldier, a spy, a preacher, a professional writer, a violinist, a silk manufacturer, a lottery director and an alchemist. Frequently he was so broke that he had to gamble and he was very good at it. He loved to spend, so he alternated between extreme wealth and genteel poverty. Casanova first met Madame de Pompadour – Louis XV’s most famous and powerful mistress – in 1750 at Fontainebleau. His witty asides made her laugh and promptly bought him to the attention of the power brokers at Louis XV’s court. 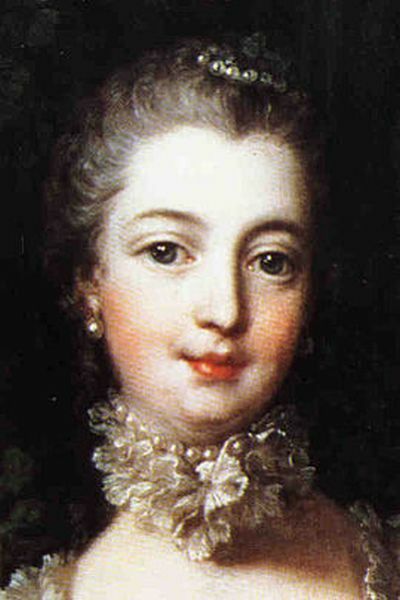 The Marquise de Pompadour (see image above) was a cultured, intelligent woman who’d managed to raise herself above ordinary beginnings. She gained enormous power and thereby acquired extreme privileges. Pompadour impressed Casanova much more that the Queen of France, whom he found excruciatingly dull. By contrast, Pompadour was a fascinating woman and she achieved a lasting influence on French culture, politics, fashion, architecture and the decorative arts. In Casanova’s memoirs there are many incidences when he recalls unleashing his charm, with the sole intention of bedding a woman. I’m using the term bedding somewhat loosely, given Casanova’s ability to fornicate just about anywhere. Frequently the situations he finds himself in are comedic, but he had the ability to laugh at himself and his wicked sense of humour permeates his writing. Casanova found lovers in every social class: servant girls, dancers, countesses, shop girls, duchesses and aristocrats in all the European courts he visited. Some of his women preyed on his natural generosity and ruthlessly fleeced him. But Casanova was so much more than an opportunistic seducer. His intelligence, charm, wit, deviancy and many talents set him apart from his contemporaries. When he fled from his creditors in Paris in 1760, he adopted the name Chevalier de Seingalt. Born April 1725 in Venice, he graduated at seventeen with a law degree from Padua University. He’d also managed to find time to study chemistry, medicine and maths, moral philosophy and the rudiments of gambling. It’s highly probable that he was an accomplished cheat – even though he doesn’t openly admit it. Indeed, spies connected with the Venetian State Inquisition believed him to be a cardsharper. Casanova revelled in the high life of Europe’s royal courts as well as having genuine friendships with those deemed to be social degenerates – actors, dancers, musicians and other creatives. As Casanova noted in his memoir, after dining with a group of actors. He was a man who lived by his wits and because he had a tendency to speak his mind, banishment and imprisonment became a regular problem in his life. Casanova was the first prisoner to ever escape the notorious prison in Venice, The Leads. He’d been incarcerated there by the Venetian State Inquisitors for his numerous ‘sins’. The story of his escape took over two hours in the telling and all over Europe, many were eager to hear Casanova’s story in full. Having decided early on that, ‘Marriage is the tomb of love’ Casanova never got married and in old age he writes of having regrets. Many historians have asked, was he really the cold-hearted seducer of his legend? If his memoirs are to be believed – and to date they have largely been verified – he was an astute observer of his fellow human beings and the portraits he draws of his mistresses are very much in the round. Casanova brings his mistresses to life for the reader. He lets us know that is his lover’s conversation, charm, beauty and character that brings him to his knees. And by his own admission, makes him their dupe. One of the reasons he didn’t fancy most of London’s renowned courtesan’s, was that he didn’t speak English when he first visited London. Sparkling conversation was of vital importance to him, ‘The thing is to dazzle’. His pride frequently got him into dangerous situations. But Casanova had a wonderful sense of the ridiculous and he freely confessed his personal failings. Casanova used his sharp wit to rub his enemies up the wrong way and he was quick to draw his sword on those who’d insulted his honour. ‘Pinking’ them on the arse with his sword was his way of letting his anger be known. Many of his dealings are dodgy and the reader gets the distinct impression that Casanova isn’t owning up to all the immoral things he did for money. He wasn’t above utilizing his extensive knowledge of the Cabala, if it meant personal gain. And the chapters dealing with his fleecing of a gullible aristocrat are deliciously wicked. Casanova wrote constantly: on the run, in prisons, carriages, palaces, low dives and grand hotels. So it wasn’t until 1789 in retirement, at Count Waldstein’s Chateau in Bohemia, that he began writing his twelve volume memoirs. I’ve read all twelve volumes and my personal preference is for the Williard. R. Trask translation. It’s Casanova’s wit, intelligence, humour, cunning and humanity that keep me coming back. He was a true intellectual and an 18th century Enlightenment polymath, in that his expertise spanned a phenomenal number of subjects. His tales of life in eighteenth century are totally engrossing and there is nothing finer than uncorking a champagne, sitting back and recklessly travelling in a carriage with Giacomo Girolamo Casanova across Europe. Photograph: detail from Portrait of Marquise de Pompadour by François Boucher 1759.